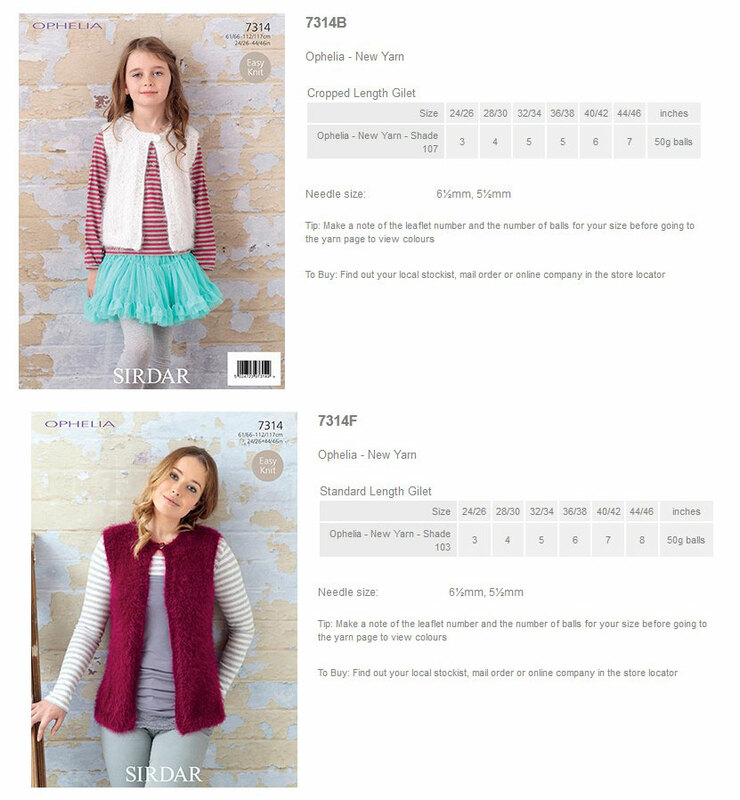 7791 - Ladies and Girls Cardigan using Sirdar Ophelia Leaflet with designs for a Ladies and Girls Cardigan using Sirdar Ophelia. 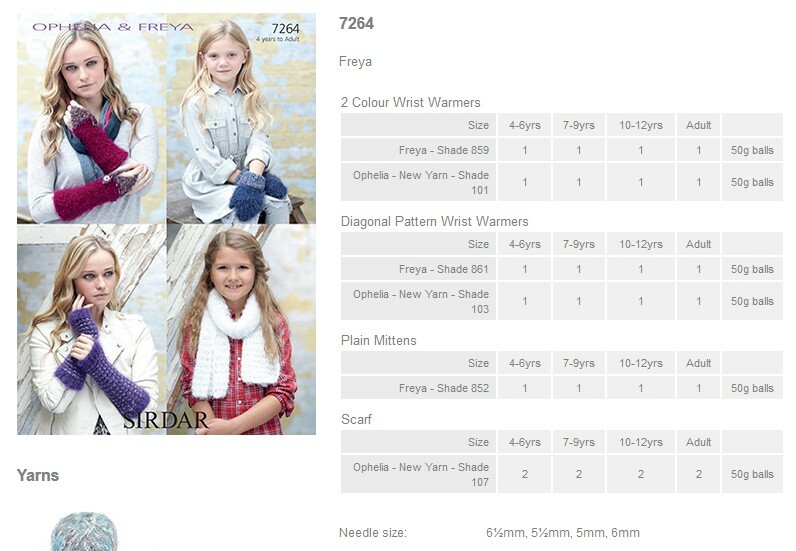 7315 - Scarves using Sirdar Ophelia Leaflet with designs for Scarves using Sirdar Ophelia. 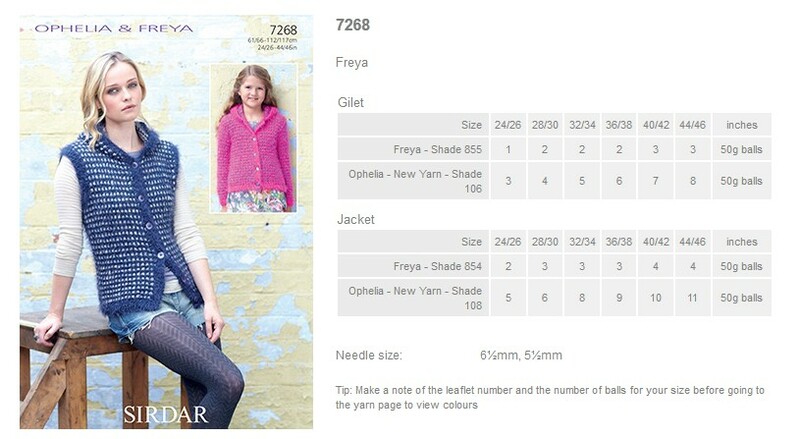 7314 - Sleeveless Cardigan using Sirdar Ophelia Leaflet with designs for Sleeveless Cardigan using Sirdar Ophelia. 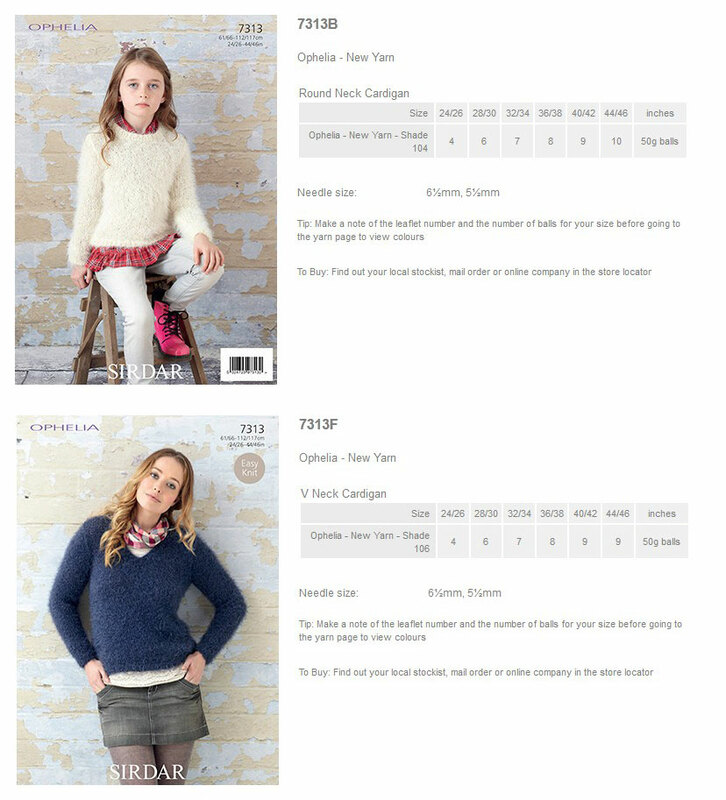 7313 - Sweaters using Sirdar Ophelia Leaflet with designs for Sweaters using Sirdar Ophelia. 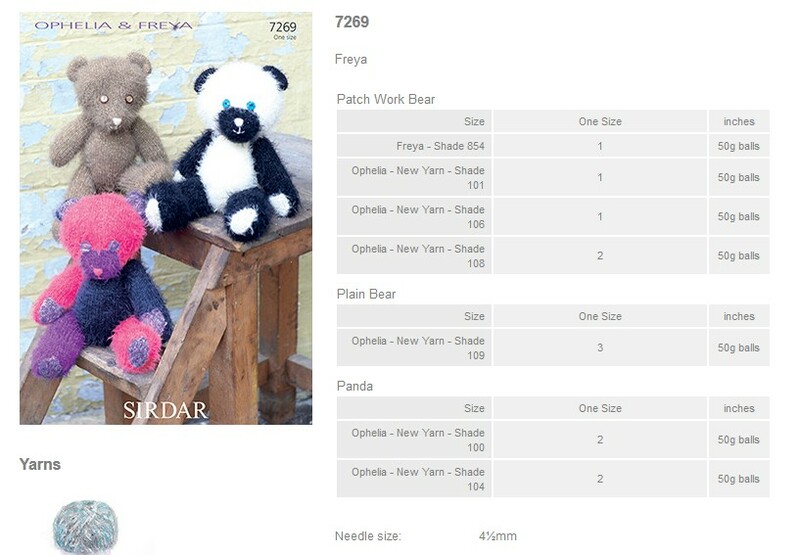 7269 - Teddy Bears using Sirdar Ophelia Leaflet with designs for Teddy Bears using Sirdar Ophelia. 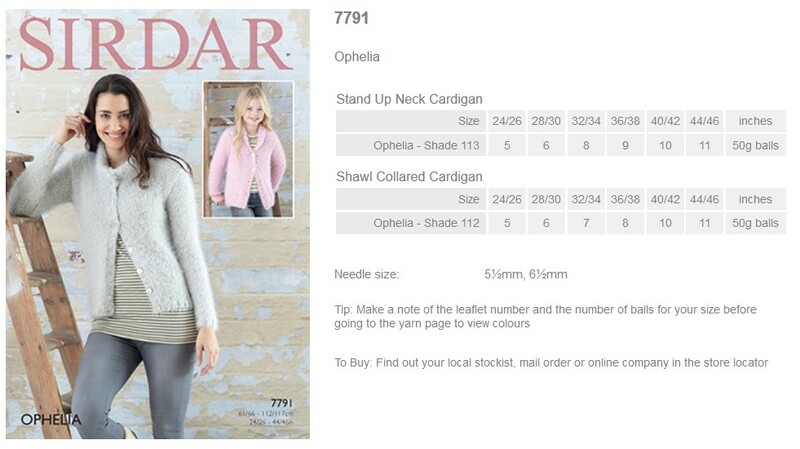 7268 - Cardigans using Sirdar Ophelia Leaflet with designs for Cardigans using Sirdar Ophelia. 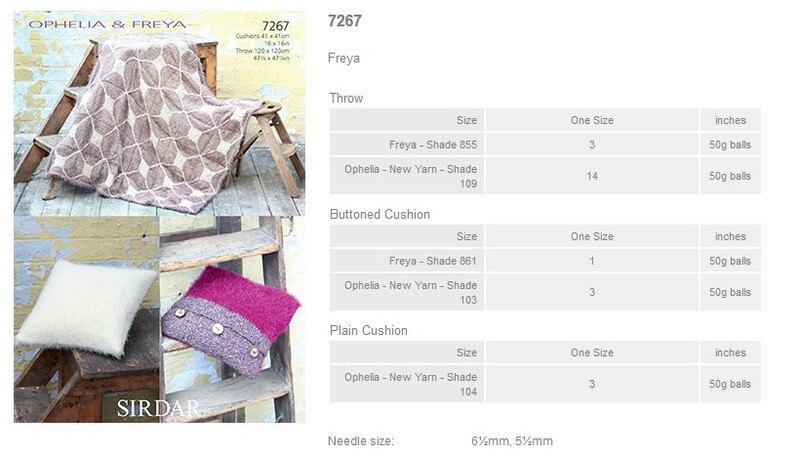 7267 - Blanket and Cushions using Sirdar Ophelia Leaflet with designs for Blanket and Cushions using Sirdar Ophelia. 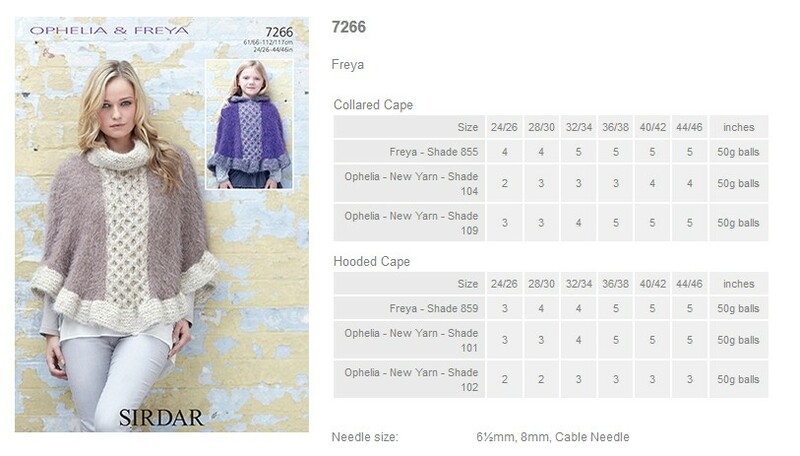 7266 - Ponchos using Sirdar Ophelia Leaflet with designs for Ponchos using Sirdar Ophelia. 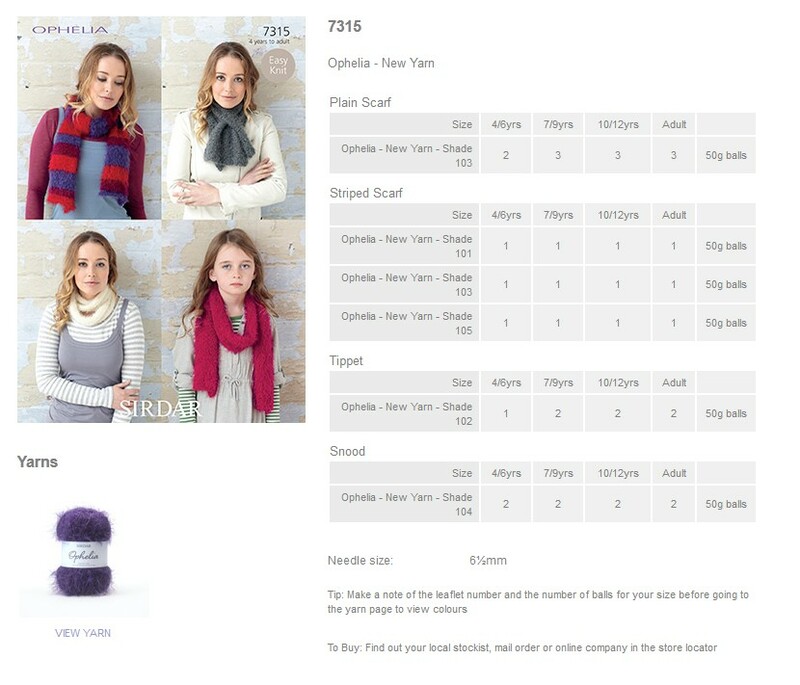 7264 - Gloves, Mittens and Scarf using Sirdar Ophelia Leaflet with designs for Gloves, Mittens and Scarf using Sirdar Ophelia. 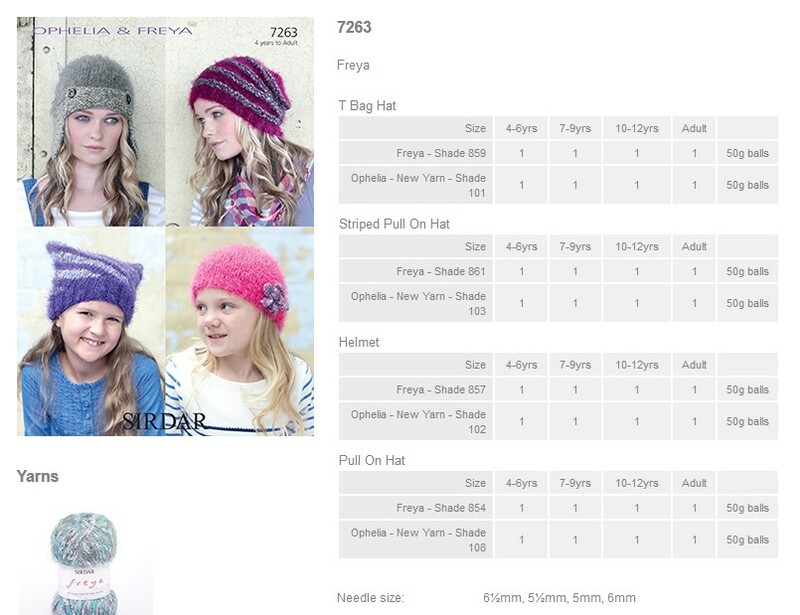 7263 - Hats using Sirdar Ophelia Leaflet with designs for Hats using Sirdar Ophelia.